One of the annoying things about getting older - and yes, there are more than a few - is how frequently you discover that what you were taught either is now outdated or simply flat wrong. But don't get too down about it. Scientists only now are realizing that they've misunderstood the physics of what keeps bicycles upright. Turns out neither explanation really nails it, according to a research paper published this week in the journal "Science." 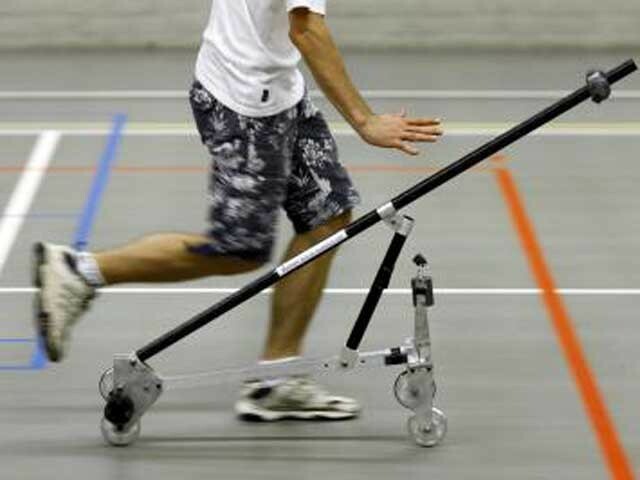 To prove their point, a team of researchers A team of researchers from Cornell University, the University of Wisconsin-Stout and Delft University of Technology in the Netherlands designed - well, for lack of a better term, a contraption that belongs (barely) in the bicycle family. As "Science Now" explained it: Unlike a normal bike, the front wheel of their vehicle lies in front of the steering axis, so the caster effect can't operate. On top of that, both front and back wheels are connected to duplicate wheels spinning in the opposite direction, so any gyroscopic precession is canceled out." Not the coolest two-wheeler you'll ever see but here was the fascinating part: -- once given a push, the bike remained upright nearly until it stopped moving. "It's all about how bicycle leaning automatically causes steering, which can bring the wheels back under a falling bike," said Andy Ruina, professor of mechanics at Cornell and a co-author of the paper. The researchers found that "almost any self-stable bicycle can be made unstable by misadjusting either the trail, the front-wheel gyro or the front-assembly, center-of-mass position." The flip side is true as well: "Conversely, many unstable bicycles can be made stable by appropriately adjusting any one of these three design variables." You can see a demonstration of their test here.